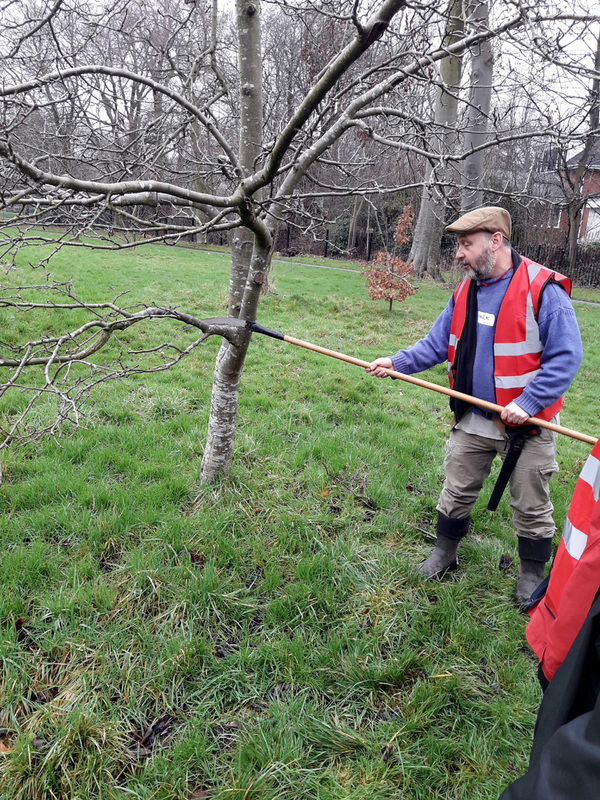 Last Sunday I girded my loins against the chill and headed down to Platt Fields Park in south Manchester for a day of restorative top fruit pruning. 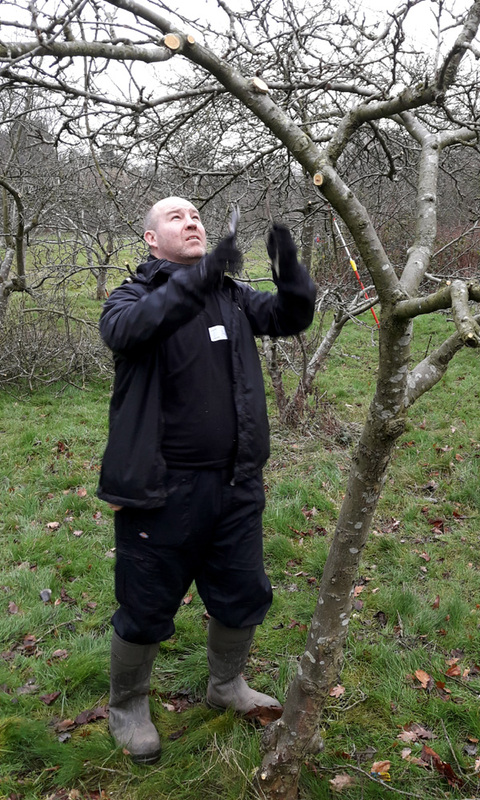 The session was organised and run by The Orchard Project, with The Friends of Platt Fields Park, and was led by Mark Simmonds, a Hebden Bridge based orchardist whose day job involves helping to establish sustainable community co-operative ventures with Co-op Culture. It was a mixed group that attended. Some previous volunteers, some self-confessed complete novices, and some first-time Platt Fields volunteers – like myself and my good friend Ian P – with a bit more horticultural knowledge. Before we were let loose on Platt Fields Park’s collection of mature and, in some cases, somewhat overgrown fruit trees, Mark provided us all with an hour’s worth of tuition and pruning theory. Workshop tutor Mark Simmonds, demonstrating the use of a pole saw. Once we’d covered a bit of blade-based health & safety, we were shown the trees and, after a bit more demonstration and Q&A, allowed to start work. Ian and I teamed up with David from the Friends, and made light work of an overgrown apple. After lunch David was needed elsewhere (decisions to be made) so Ian and I cracked on with a couple more trees. We were worried that the rot might affect the stability of the tree and so Ian suggested taking the other three limbs right back to shoulder-height. 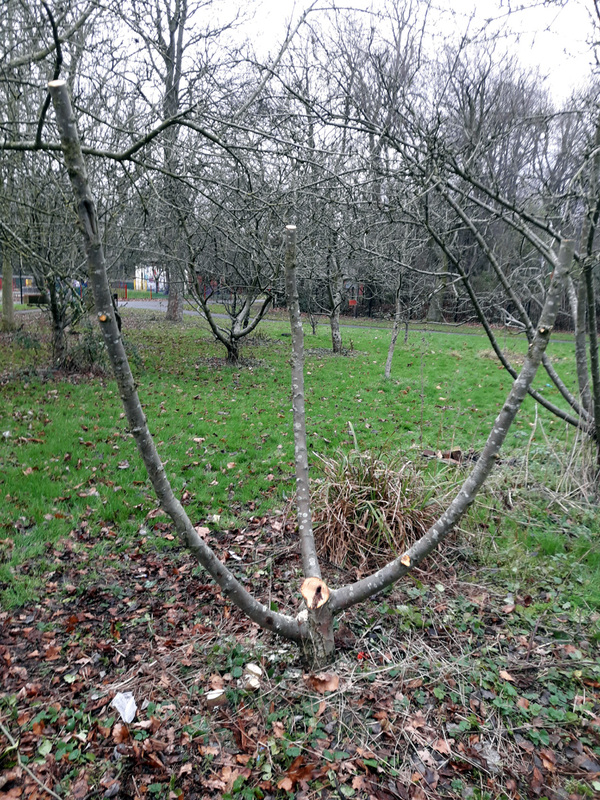 This would lighten the load on those three limbs in case the base rotted further, and Ian pointed out that the Friends could potentially use those limbs as the stock for grafting some new (and named – none of the trees in the Platt Fields Orchard are identified, alas) varieties. 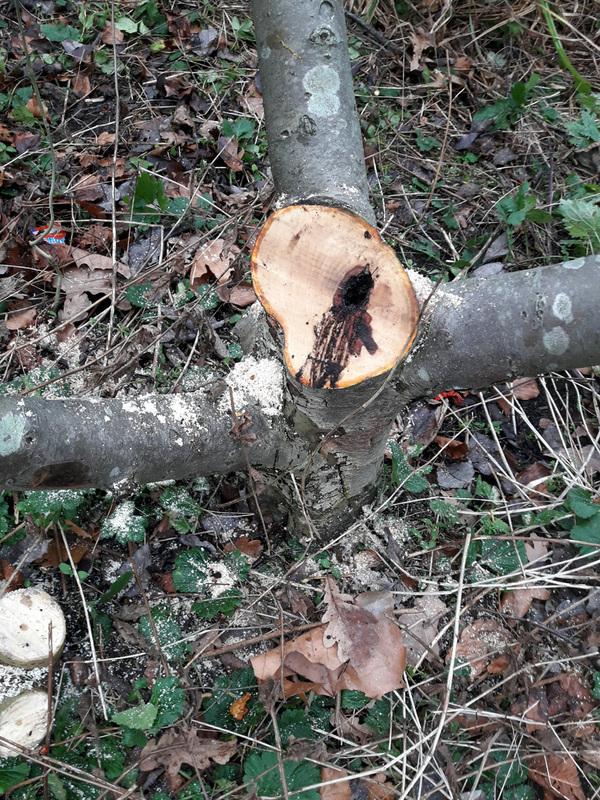 Mark agreed, and further suggested that instead of cleft-grafting this year, they could wait for the re-growth wood to sprout and then use that as the stock to graft scions onto next year. I added that they could make it into a multi-variety ‘Franken-tree’, David liked the idea, and so we went ahead. I’m rather hoping I’ll be free to come along when the grafting happens next year. I’ve not tried grafting onto a tree in-situ yet, so I’d be interested to pick up a few tips. More general pruning and tidying went on after that, but as we had paperwork to do before we left, we had to call it a day and could only work on a fraction of the total orchard. It’s a great site, with a large number of trees (80+ mostly apple or pear, some cherry). If I lived closed I’d volunteer to do a lot more work there. Hopefully David and the more local Friends and volunteers can crack on and get some more done whilst the trees are still dormant. All in all, it was an excellent session. Good weather for the time of year, good company, good knowledge, good practice. A good time had by all. Mark said that he works and runs workshops with various groups, and on various sites, particularly in West Yorkshire. If you’re interested in orchard work, or just improving your general pruning skills, and get a chance to go along to one of his sessions, you really should. The Orchard Project work at sites in Manchester, Leeds, Edinburgh and London. See the events page of their website for details of upcoming sessions.